← The Sports Archives – A Brief History of Ice Hockey! The Sports Archives – Olympics Watch 2014! The previously unknown Russian city has been thrust into the international spotlight in a big way. 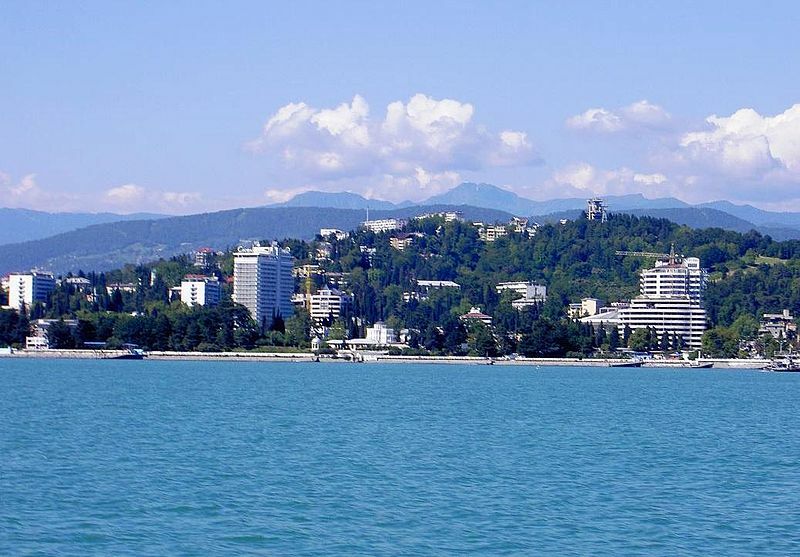 A popular summer resort city with a population of around 300,000, Sochi is now better known as the host city for the 2014 Winter Olympics. Positioned on the coast of the Black Sea, the Russian port city will turn into a bustling hub during the Olympic games. Although there have been safety concerns because of southern Russia’s tumultuous history, Olympic officials are confident that the city will be a safe place to compete. According to TIME magazine, “In 2007, when Russia won its bid to host the 2014 Winter Olympics, the country estimated the games would cost $12 billion. Seven years later…the cost of the games has exploded to an estimated $50 billion, CNN reports, which is believed to be the most expensive Olympics in history.” Previously, Beijing’s 2008 ceremony held the record for most expensive Olympic games, with a price tag of $42 billion. Russia has far surpassed that, and it’s also three times more expensive than the most expensive winter games. Business Insider reported that there are several factors contributing to this: first, Sochi isn’t the most logical place for the winter games. Although it does get cold in winter, many feared that it wouldn’t be cold enough. As a result, expensive measures have been taken to make sure that there is enough snow on the ground. Consequently, a large amount of construction—including a 31-mile road between Sochi and a mountain resort hosting the ski and snowboard events—had to be built. Additionally, there are significant security concerns, which mean far more is being spent on safety than in Olympics past. According to an Associated Press-Gfk Poll, half of Americans surveyed plan to watch the Olympics. 65% of these individuals are over 50, with women comprising the majority of potential watchers. Although some have expressed concern about the 9-hour delay between Sochi and the United States, less than 20% of people said they cared about spoilers. Most people said they would still enjoy watching the games even if they already knew who had received medals in the events. 86% of individuals said they would watch events on television, while 17% planned to stream it online. 35% said they would read about the results online and 20% said they would learn about results in newspapers. While the methods of coverage may vary, there’s one sport that is far more popular than any other: women’s figure skating. 24% of individuals interviewed said that it was their favorite sport. The second favorite sport, ice hockey, received only 6% of votes. The Olympics begin February 7 and end February 23. As with every Olympics, this one promises lots of thrilling victories, surprising upsets, and touching underdog stories. Will Chavez is a sports blogger who enjoys writing about current events in the sporting world. He’s excited to watch the Olympic athletes in the 2014 Sochi Winter Olympics. 4 Facts About The 2014 Winter Olympics! Meet The U.S. Women’s Ice Skating Team! Heartwarming Story Of Jamaican Bobsled Team! This entry was posted in Olympics and tagged figure skating, Fun Facts, ice hockey, ice skating, most expensive Olympics, Olympics, olympics 2014, Olympics blogs, olympics games, Russia, Snowboarding, sochi, sochi 2014, sports, sports and leisure, sports and recreation, Sports Archives, Sports Blogs, USA, winter olympic blogs, Winter Olympics, women’s figure skating. Bookmark the permalink. 1 Response to The Sports Archives – Olympics Watch 2014!